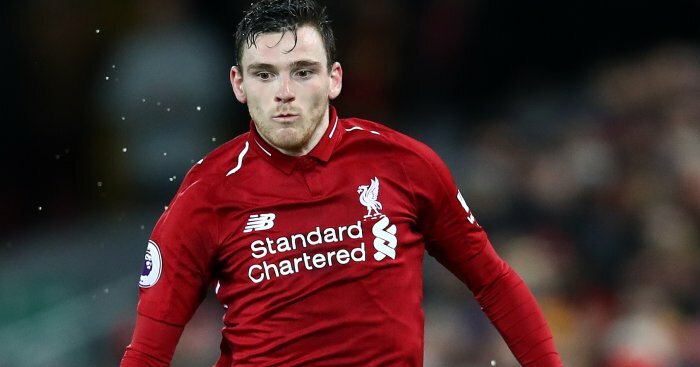 Scotland defender Andy Robertson has revealed he seriously considered a transfer to Stoke before he signed for Liverpool. 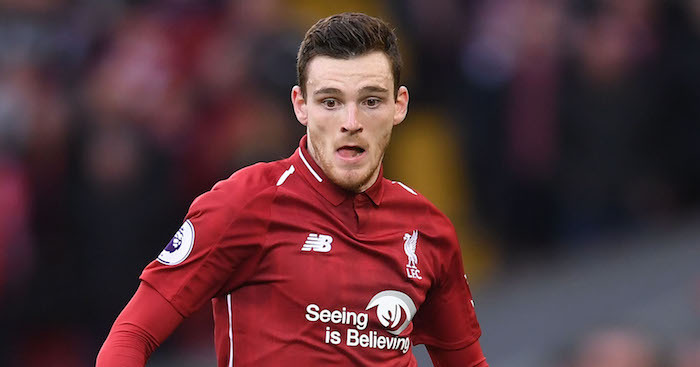 Robertson signed for Liverpool in the summer of 2017 for £8million after leaving Hull and he has proven to be a bargain signing for Jurgen Klopp, who also tried to sign Ben Chilwell from Leicester. But Robertson says he considered Stoke as a “really good option” option and talks with then Potters boss Mark Hughes took place. 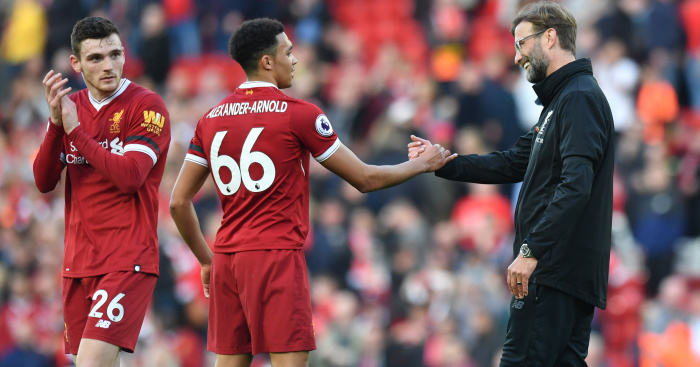 The Glasgow-born 24-year-old has though established himself at Anfield and made 45 appearances for the Reds, thus vindicating his decision to sign for the Reds. “Stoke were quite interested in me. 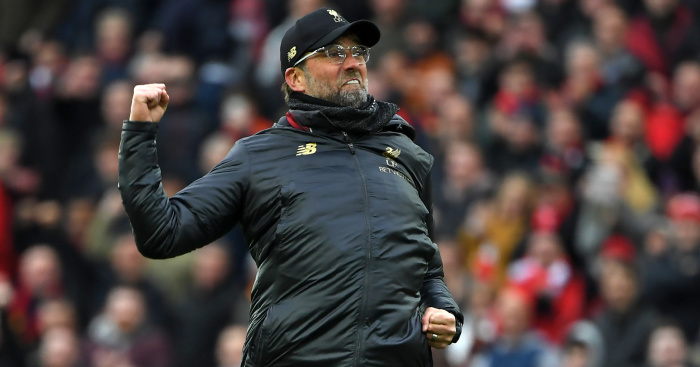 Mark Hughes had liked me and I think there was a wee bit of chat with them,” Robertson told Youtube football channel ‘Open Goal’. 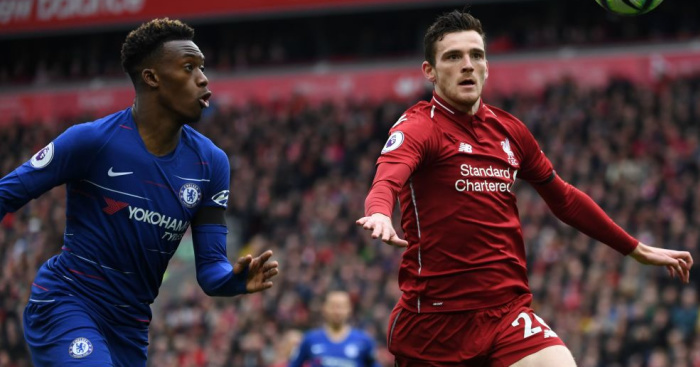 Robertson, who is now Scotland captain, says he wasn’t sure about a move to The Britannia Stadium because he thought he may have had to play second fiddle to Erik Pieters. “I was thinking they were really keen, and at that point under Mark Hughes they were playing good football. 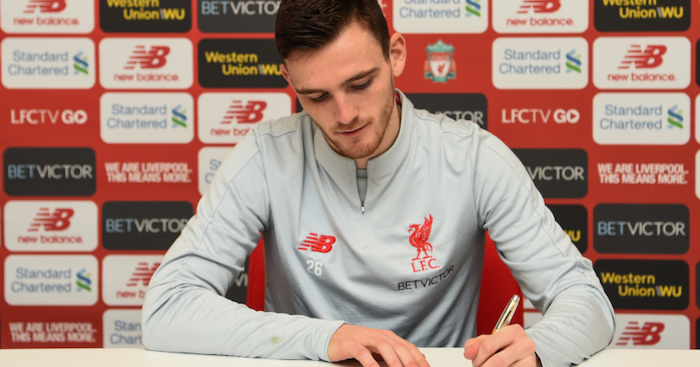 They had Erik Pieters; I wasn’t sure if I was going in as back-up to him as he was flying that season,” added Robertson. Things certainly worked out for Robertson with Hughes getting the sack at Stoke and the Potters getting relegated to the Championship last season.